First, install PHP on a development server. Then, install Xdebug. There is an installation manual at the Xdebug site. After installing xdebug, the profiler is default off. To get it work, edit your php.ini as follows. Check whether the xdebug extension will be loaded. Search for the zend_extension=xdebug.so line and add it if missing. Open a the site you want to profile in a webbrowser. 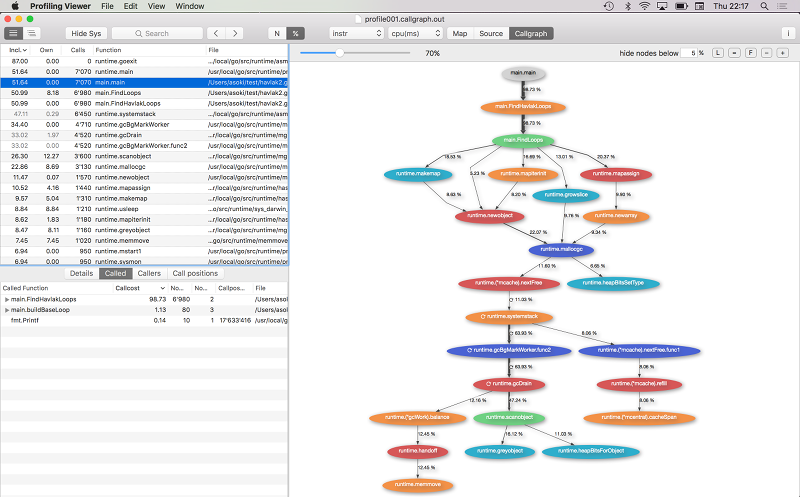 When everything went good, the php script will be profiled and the callgrind profiling output will be written to /tmp. The file name is something like "callgrind_1179434749_642382.out". With the above configuration you will get a separate callgrind file for every request. 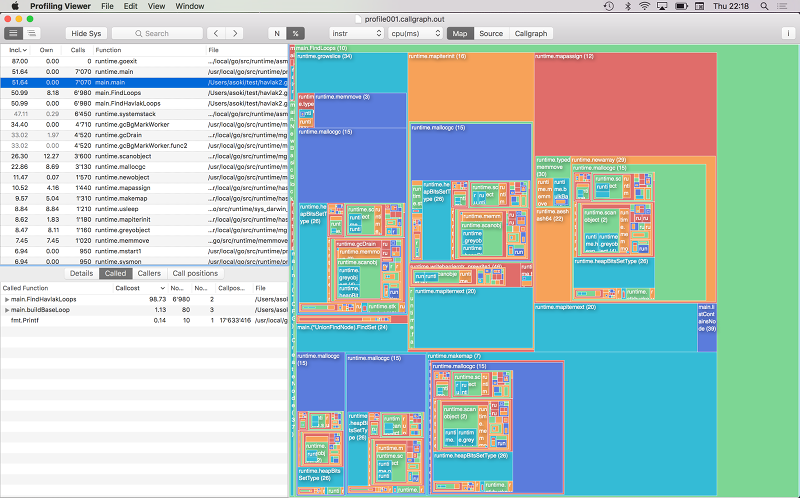 Open one of the "callgrind_*.out" files with Profiling Viewer. There is a somewhat older tutorial about profiling go programs at https://blog.golang.org/profiling-go-programs. This article points to a github repository with the sourcecodes used in the example: https://github.com/rsc/benchgraffiti/. 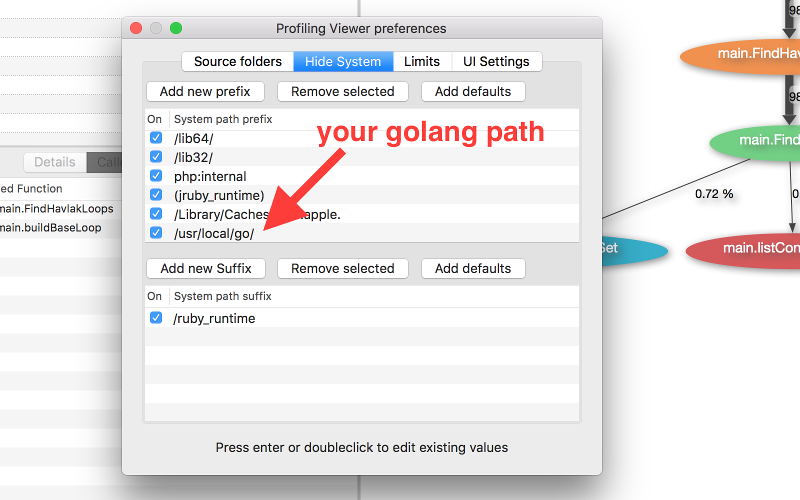 To use the hide-sys feature of Profiling Viewer you must enter the path of your Golang installation under Preferences/Hide System.